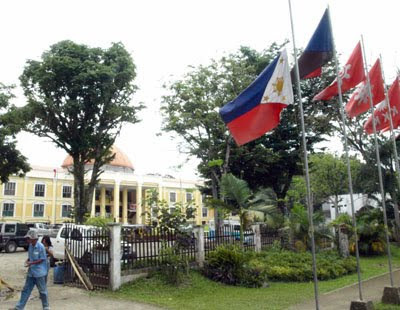 The City Government of Kidapawan flies the national flag at half-mast in protest to the ruling of the Supreme Court converting 16 municipalities in the Philippines into cityhood. 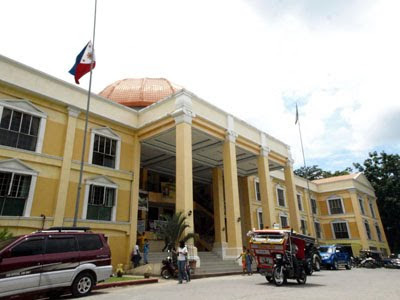 Last February 15, the High Court upheld the cityhood laws that converted the 16 towns into cities, exempting them from the P100 million income requirement, among others. The newly-converted cities include Baybay (Leyte); Bogo (Cebu); Catbalogan (Samar); Tandag (Surigao del Sur); Borongan (Eastern Samar); Tayabas (Quezon province); Lamitan (Basilan); Tabuk (Kalinga); Bayugan (Agusan del Sur); Batac (Ilocos Norte); Mati (Davao Oriental); Guihulngan (Negros).